Mumbai, Apr 23, 2016: At the 5th Artist Aloud Music Awards announced on Wednesday, April 20, 2016, Coastal Karnataka’s very own PrajothD’sa bagged two awards; the Best Male Voice and the Best Song. Both awards were recognized for an original Hindi composition ‘VaadaKaro’ which was produced by him in collaboration with his friend AdilNadaf. The awards ceremony which was held in Mumbai on Wednesday, April 20, 2016 at the prestigious Blue Frog club was attended by the who’s who of Bollywood’s music industry. The Artist Aloud Music Awards is India’s only Digital Music Awards. Prajoth received the award from Bollywood’s well known music director Sulaiman Merchant of the Salim-Sulaiman fame. In his acceptance speech, Prajoth in particular thanked all his fans and friends for their constant love and support that helped him reach where he is today. 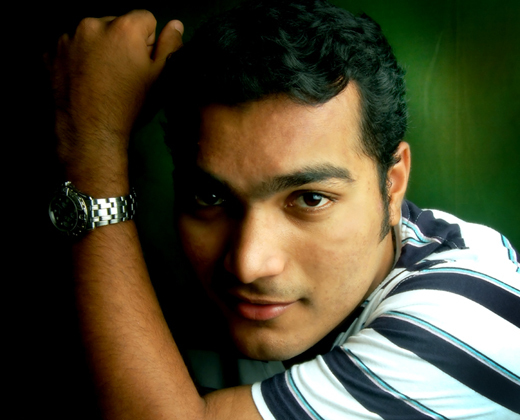 PrajothD’sa, hailing from Udupi, is a Software Engineer by profession and a talented new generation singer. Blessed with amazing vocals and coupled with brilliant singing capability, Prajoth has many musical shows to his credit having performed live in and outside India. His popular originals include "Aa Paas Aa", "VaadaKaro", and "Rang Do" to name a few. He is the first person in Karnataka to have recorded an Acapella, a form of music played without the use of instruments. He has been a part of over 50 live shows and concerts and has recorded more than 300 songs in various languages including English, Konkani, Kannada, Hindi and Tulu. Popularly known as the "Sonu Nigam of Coastal Karnataka", Prajoth has also lent his voice to films and numerous jingles for popular brands, TV shows, campaigns and radio channels. Currently working on his second music album, Prajoth’s maiden album “Udi Udi” released a couple of years ago was a huge success. Also the award-winning duo Prajoth-Adil is working on their new Hindi single which would be digitally released worldwide soon this year. Artist Aloud - A subsidiary of Hungama, is a platform that promotes independent music makers including musicians, bands, singers, composers, instrumentalists, etc. who create popular non-filmy music. Held annually, Artist Aloud Music Awards better known as AAMA, was initiated in the year 2010 where independent artists are felicitated for their creations in the field of music.